Per his military service record (Depot), James Gordon was born at Parramatta, N.S.W. He gave his age as 23 years and 5 months, his marital status as single, and his occupation as labourer. His description on his Certificate of medical examination was height 5 feet 8 inches tall, weight 140 lbs, with a fair complexion, blue eyes, and brown hair. His religious denomination was Church of England. He claimed that he had no previous military experience. His next of kin on his Attestation paper was listed his father, Stephen Gordon, Lennox Street, Parramatta, Sydney. He completed his medical examination, and was attested by Lieutenant R. Howe, at Parramatta on 11th November 1915 (the day the Coo-ees marched from Parramatta to Ashfield). On 12th December 1915 Private Gordon went absent without leave till he was apprehended on 31st January 1916. As a result he was charged for being absent without leave amounting to desertion. He was discharged for being a deserter on 20th July 1916. Per his military service record (regimental no. 4744), Sidney Stanley Cannon was born at Parramatta, N.S.W. He gave his age as 21 years and 3 months, his marital status as single, and his occupation as carpenter. His description on his Certificate of Medical Examination was height 5 feet 8 inches tall, weight 135 lbs., with a fair complexion, hazel eyes, and brown hair. His religious denomination was recorded as Church of England. He claimed that he had 4 years previous military service in the Senior Cadets (universal training). He completed his medical examination on 10th November 1915 at Parramatta, and was attested by Lieutenant R. Howe at Parramatta on 11th November 1915. On 2nd February 1916 whilst training at the Liverpool Camp Private Cannon was charged with being absent without leave for 2 days and from 1 parade. He was fined 10 shillings. On 22nd February 1916 Private Cannon was charged with being absent from fatigue and insubordination. He was fined a total of 25 shillings. On his embarkation roll his address at time of enrolment was George Street, Parramatta, N.S.W., and his next of kin is listed as his father, I. [Isaac] R. Cannon, at the same address. 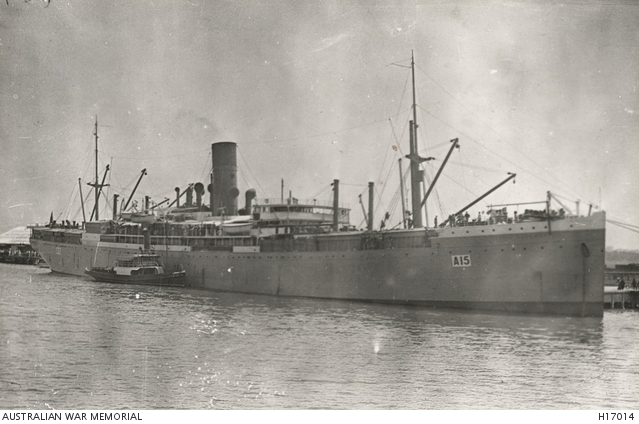 On 8th March 1916, Private Cannon, along with many of the other Coo-ees, departed Sydney on the HMAT A15 Star of England, with the 15th reinforcement for the 13th Battalion. He arrived in Egypt on the 11th April 1916. On 16th April 1916 Private Cannon was transferred to the 4th Pioneer Battalion at Tel-el-Kebir, Egypt. 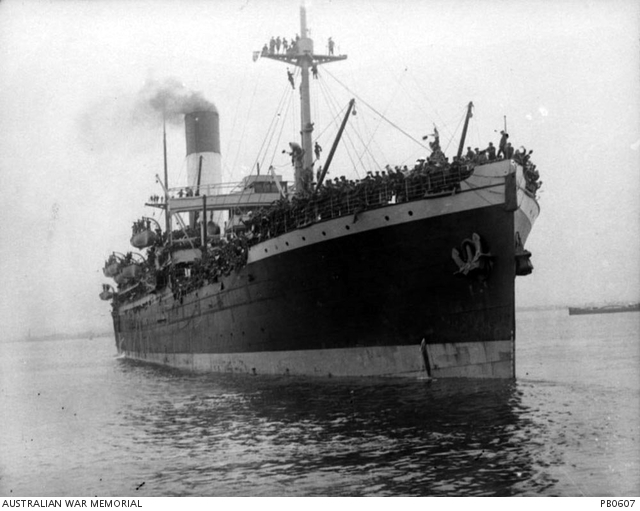 On 4th June 1916 Private Cannon left Alexandria aboard the Transport Scotian bound for France. He arrived at Marseilles on 11th June 1916. On 9th July 1916 the 4th Pioneer Battalion was engaged in works in the vicinity of Fleurbaix, France when Private Cannon was evacuated to the 4th Australian Field Ambulance suffering from Bronchitis. On 10th July 1916 he was transferred to the 5th Divisional Rest Station. On 14th July 1916 he re-joined the 4th Pioneer Battalion as it arrived at Canaples, France, for training. On 4th November 1916 the 4th Pioneer Battalion was training at Breilly, France, when Private Cannon was admitted to the 4th Australian Field Ambulance with stiff joints. He was admitted to the 3rd Stationary Hospital at Amiens, France, later that day with an injured thumb. A note in his service record reported that his injury to thumb was ‘caused by cold exposure when on duty, soldier not to blame’. On 8th November 1916 he was placed aboard the 4th Ambulance Train and moved to the 1st Australian General Hospital in Rouen, France, where he was admitted the next day. He was transferred to the 2nd Convalescent Depot at Rouen with a dislocated thumb on 10th November 1916. On 23rd November 1916 Private Cannon was discharged and sent to the 4th Australian Division Base Depot at Etaples, France. He was admitted to the 26th General Hospital at Etaples with the dislocated thumb on 28th November 1916. On 2nd December 1916 he was discharged to the 6th Convalescent Depot. He was sent back to the 4th Australian Division Base Depot on 13th December 1916. On 17th January 1917 Private Cannon marched out of the 4th Australian Division Base Depot to return to his unit. He re-joined the 4th Pioneer Battalion on 19th January 1917 when it was conducting works in the vicinity of Longueval, France. On 6th June 1917 the 4th Pioneer Battalion was in camp in the vicinity of Messines, Belgium, where it had been constructing roads, when Private Cannon was wounded in action, receiving an explosive shell wound to his right temple. On 6th June 1917 Private Cannon was evacuated to the 77th Field Ambulance, then moved back to the 53rd Casualty Clearing Station, then to the 1st Casualty Clearing Station, before he was admitted to the 1st New Zealand Stationary Hospital at Hazebrouck, France. 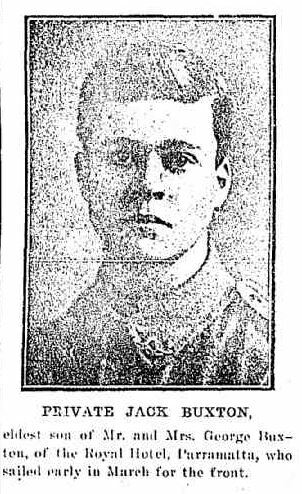 On 3rd July 1917 Private Cannon was placed aboard the 8th Ambulance Train and sent to the 13th General Hospital at Boulogne, France, and admitted with gunshot wound to the temple. On 13th July 1917 Private Cannon was sent by Hospital Ship to England. He was admitted to the Fulham Military Hospital on 14th July 1917. On 3rd August 1917 Private Cannon was transferred to the 1st Australian Auxiliary Hospital at Harefield, England. On 9th August 1917 he was granted leave, to report to the No. 2 Command Depot at Weymouth on 23rd August 1917. On 28th August 1917 Private Cannon was transferred to the No. 4 Command Depot at Codford, England. On 30th October 1917 Private Cannon went before a Medical Board that classed him unfit for general service for more than six months and unfit for home service, due to his gunshot wound and strain. On 24th November 1917 Private Cannon was transferred back to the No. 2 Command Depot at Weymouth. Private Cannon commenced his return to Australia from Plymouth on 20th December 1917 aboard the HMAT A54 Runic to be medically discharged with gunshot wound, right ankle debility and tachycardia. He arrived in Australia on 14th February 1918. On 6th July 1918 Private Cannon went before a Medical Board at the 4th Australian General Hospital at Randwick, Sydney, where his recommendation to be discharged was confirmed. He was discharged medically unfit on 20th July 1918. AWM4 14/16/16 – June 1917, Australian Imperial Force unit war diaries, 1914-18 War, 4th Australian Pioneer Battalion. Per his military service record (Depot), Harold Edmund Crouch was born at Parramatta, N.S.W. He gave his age as 18 years and 11 months, his marital status as single, and his occupation as painter. His description on his Certificate of medical examination was height 5 feet 5 ½ inches tall, weight 120lbs, with a fair complexion, greyish eyes, and brown hair. His religious denomination was Church of England. His next of kin on his Attestation paper was listed his mother, Mary E. Crouch, Hunter Street, Parramatta. 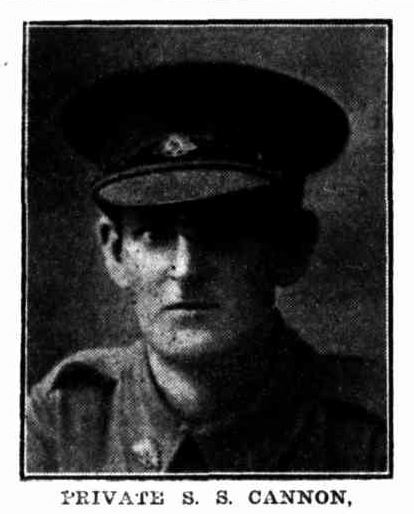 He completed his medical examination at Parramatta on 10th November 1915, and was attested by Lieutenant R. Howe at Parramatta, on 11th November 1915. He claimed to have one years previous military experience with the Senior Cadets. 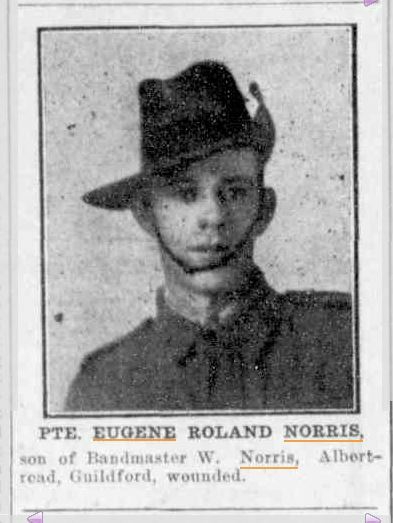 He was one of the 41 men who had offered themselves as recruits at the recruiting meeting held for the Coo-ees in the Park at Parramatta on Wednesday evening 10th November 1915. A letter in his service record from his mother, M. E. Crouch, dated 10th November 1915, had given consent for her son to enlist. However, a few weeks later, his mother sent a letter to the A.I.F. dated 21st December 1915 withdrawing her consent, in which she stated: ‘’I hearby apply for my son’s discharge from the Military Force on account of his age and health, consent given last November”. His actual age is not listed in his service record, but his birth was registered in 1899, so it is likely he may only have been 16 years of age when he enlisted. He was discharged at parents request, on 5th January 1916. NAA: B2455, CROUCH H E, letter to the bearer, from M. E. Crouch, 10 November 1915. NAA: B2455, CROUCH H E, letter from M. E. Crouch, 21 December 1915. 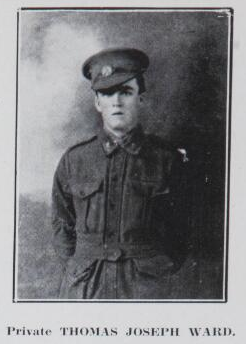 Per his military service record (Depot), Arthur Lakeman was born at Parramatta, N.S.W. He gave his age as 18 years and 1 month, his marital status as single, and his occupation as baker. His description on his Certificate of medical examination was height 5 feet 7 inches tall, weight 8 stone 2 lbs, with a dark complexion, dark brown eyes, and fair hair. His religious denomination was Methodist. His next of kin on his Attestation paper was listed his father, Albert Lakeman, Church Street, Parramatta, N.S.W. He completed his medical examination at Parramatta, and was attested by Lieutenant R. Howe at Parramatta, on 11th November 1915. He claimed to have two years previous military experience with the 20th Infantry at Parramatta. After completing the Coo-ee March he went to Liverpool Camp with the Coo-ee Detachment. However, his service in the A.I.F. was to be short, as he was underage. A letter from his mother Mrs A. J. Lakeman in his service record requesting his discharge dated 15th November 1915 stated: “My son Arthur Charles Lakeman enlisted in Parramatta with the Gilgandra Coo-ees on Wednesday night last without my consent as he will not be eighteen till Dec 23 (birth certificate enclosed). I with hold my consent. This boy stutters badly and his eyesight is not good as he tried before to enlist but was turned down on that account”. NAA: B2455, LAKEMAN ARTHUR E.
 NAA: B2455, LAKEMAN ARTHUR E, letter to Colonel Simpson, AAG Headquarters, Liverpool, from Mrs A. J. Lakeman, 15 November 1915.